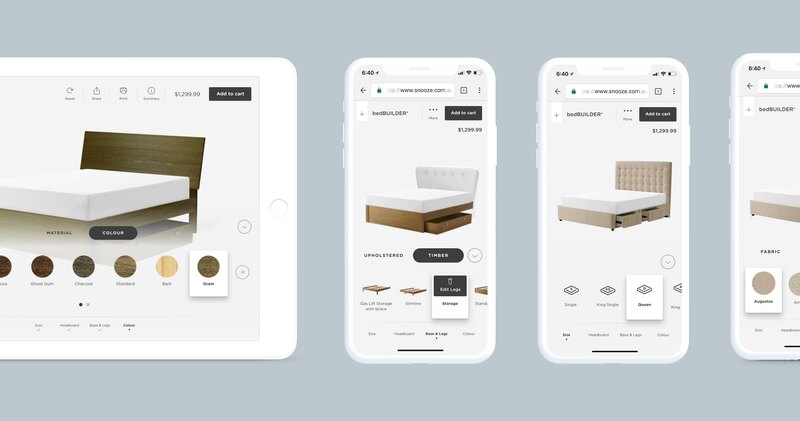 As part of a re-platform of the Snooze ecommerce website, Snooze needed to replace their Bedbuilder feature, using this as an opportunity to improve a noticeably cumbersome experience. 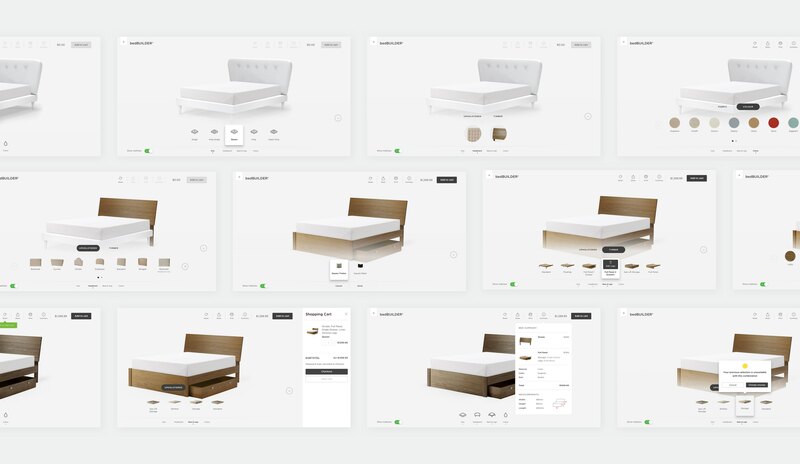 To gather insights on the current Bedbuilder experience from customers, staff and manufacturer’s, with a focus on both long term and short term states. The stylist wants to make a decision on every component of the bed to reflect her personal style and preference. Strives to create the perfect bed. Will switch between online & in-store and seek feedback to make sure what they are getting is exactly right. The tweaker wants to make a minor adjustment to a bed they have seen in-store to meet their requirements, ie. height change, add storage. We set up a lo-fi clickable prototype using invision to help aid the customer conversations and also provide usability insights. Through close collaboration with the lead developer, I was able to fine tune the complexity of the navigation and using Principle App I was able to accurately communicate subtle but necessary interactions. Alongside the finished interface designs, I produced a sketch file documenting all elements to keep the designs as consistent and re-usable as possible. This was an important tool for the development team to use and build an understanding for. Despite the close collaboration between design and build, there could have been more honest conversations had early on when defining the MVP. Our ambition blinded us early, which resulted in inadequate time for build feedback and a premature release.